Hundreds of Palestinian and international activists erected a village encampment in the Jordan Valley on Friday in protest against continued Israeli settlement activities and confiscation of Palestinian lands. The protest village of "Ein Hajla" was erected on the site of an abandoned village on lands belonging to the Greek Orthodox monastery of Deir Hajla in the eastern West Bank just north of the Dead Sea, in an area surrounded by numerous illegal Israeli settlements. Following the protesters' decision to set up an encampment at the site, Israeli forces surrounded the area. 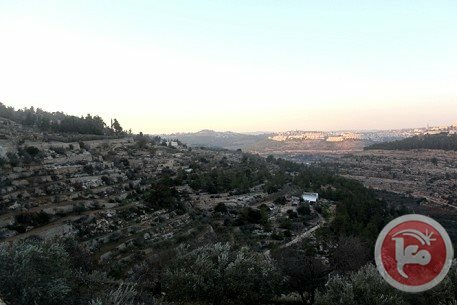 A statement released by the Popular Struggle Coordination Committee said that the move is part of the fight "against the Israeli occupation's plan to take over and annex the Jordan Valley," adding that it was "a popular act against Israeli oppression of the Palestinian people and the constant Judaization of the land." The statement further stressed that the village is in protest of ongoing plans supported by Israeli officials in the ongoing US-sponsored negotiations which could potentially allow Israel to annex and keep military forces in the occupied West Bank as part of any future peace deal. "We the participants announce that we hold tight to our right to all occupied Palestinian lands. We refuse Kerry's Plan that will establish a disfigured Palestinian state and (recognize) the Israeli entity as a Jewish State," it read. The statement also highlighted that the area itself is surrounded by lands that have been take over by Israeli settlers and a local Israeli military base, which has confiscated lands from the Deir Hajla monastery. Lawmaker Mustafa Barghouthi said that hundreds of young people from all over the West Bank came to the village as part of the "Salt of the Earth" campaign to defend the land and its homes. Barghouthi said that the village aims to preserve the lands and to resist the Israeli military presence there, adding that participants managed to reach the area despite the several checkpoints surrounding it. The statement highlighted that the village itself was named after the original Canaanite village in the same area, while the name of the campaign comes from the verse of Matthew 13:5 of the New Testament in the Bible. The verse reads in part, "You are the salt of the earth. But if the salt loses its saltiness, how can it be made salty again?" The encampment in Ein Hajla follows similar efforts by Palestinian protesters in the encampments of Bab al-Shams and Ahfad Younis in early 2013. The two villages were set near Eizariya just east of Jerusalem in a strategic area that Israeli refers to as E1 and has previously threatened to build more settlements on. Israeli forces eventually attacked both encampments and forcibly removed the protesters. Jewish settlers frequently raid Palestinian lands and set up illegal outposts across the West Bank, usually uninhibited by Israeli authorities and often supported by Israeli military forces. These outposts are often chosen for their strategic locations between Palestinian villages and atop hills or major roads. Israeli forces often provide security for the settlers, confiscating nearby Palestinian lands and expanding military presence. Many of these outposts are eventually developed into permanent settlements, and today nearly 500,000 Israeli Jews live in settlements built across the occupied West Bank and East Jerusalem. The threatened demolition of apartment blocks in East Jerusalem is adding new pressure to the city's housing crisis, with hundreds facing the prospect of losing their homes and Palestinian residents saying they face discrimination in city planning. Since the start of construction of the separation barrier a decade ago, poorer Palestinian East Jerusalemites have often chosen to move to the West Bank side of the wall. In late 2013, Israeli authorities issued court orders announcing that a number of buildings in Ras Shehada and Ras Khamis -- Palestinian neighborhoods inside Jerusalem's municipal boundary but cut off by the separation barrier -- are slated for demolition because they were built without permits. "With everything that's going on here, I'm trying to sell the house," said Shadi, 26, who owns an apartment in Ras Khamis threatened with demolition. "If someone comes now with, say, 150,000 NIS ($43,000) cash, I'm out of here." Because many Palestinian East Jerusalemites prefer to live on the Israeli side of the wall -- mostly for access to education, healthcare and jobs -- demand for housing there is high. But severe building restrictions on Palestinian neighborhoods inside the wall, imposed by the Jerusalem municipality, have created a housing shortage, causing prices to skyrocket in East Jerusalem. For a long time, the Israeli authorities turned a blind eye to building in the neighborhoods of East Jerusalem that lie beyond the separation barrier. These areas are unplanned and suffer from a lack of infrastructure, lack of services, inadequate garbage collection, and water and electricity shortages. But they have one major advantage that attracts residents: homes are cheaper than those on the Israeli side of the wall. And because they are still within the city's border, these Jerusalem residents can also hold on to their Israeli IDs, without which they would be stateless. Shadi explains that while homes cost about 500,000 to 600,000 NIS ($143,000 to 172,000) in Shuafat and Beit Hanina, two of the most desirable neighborhoods of East Jerusalem on the western side of the barrier, his apartment in Ras Khamis cost only 120,000 NIS ($34,000). Towers of inexpensive apartments have mushroomed in all of the Palestinian East Jerusalem neighborhoods outside of the wall. "Here, you'll pay 50,000 (NIS) cash and then 2,000 (NIS) each month for four years, not like there (on the Israeli side of the wall), where someone might pay 6,000, 7,000 (NIS) a month (rent)." Shadi, who is currently unemployed, says that when he is working he brings home about 5,000 NIS a month, just over Israel's minimum wage. A local activist said as many as 15,000 people could lose their homes if Israel follows through with its planned demolitions in Ras Khamis and Ras Shehada. Most NGOs put the number much lower; Sari Kronish of the Israeli NGO Bimkom-Planners for Planning Rights estimates that anywhere from hundreds to 1,500 face displacement. However, Kronish says, "There are many more units without permits than (those that) received demolition orders so far," making it difficult to know how many could eventually be effected. The demolition orders -- as well as the policies that prevent Palestinians from obtaining permits in the first place -- stem from Israeli attempts to maintain particular demographics in Jerusalem, say activists. Kronish says that after Israel occupied East Jerusalem in 1967, it redrew the municipal boundaries. The guiding principle of the new borders, she says, was "to add as much land and as few (Palestinians)"; leaving the new ratio of Jewish Israelis to Palestinians in Jerusalem at 70:30. "Ever since then, the various governments of Israel have made decisions that planning needs to maintain that balance," said Kronish. That translates into policies that encourage the expansion of Jewish neighborhoods but stunt growth in Palestinian areas. Kronish explains, "It's like passive displacement. The Palestinian neighborhoods have never been planned adequately. Some of them have been planned, but it's restrictive planning." For example, Israeli plans for Palestinian neighborhoods often designate for housing land that already has homes and other buildings. Kronish adds that, paradoxically, "sometimes even existing homes are left outside the plan for designation for housing." Israeli plans often emphasize green spaces in Palestinian areas, regardless of residents' needs or how they are using the land. The Israelis also treat the Palestinian neighborhoods as "rural" although the areas are increasingly urban. Building rights for rural areas are limited and include restrictions on both the width and height of structures. Plans for these areas do not keep pace with Palestinian population growth. Combined, these policies keep the number of building permits very low for Palestinian neighborhoods. The few who do manage to obtain permission to build find enormous taxes and municipal fees associated with those permits -- expenses that are far beyond what most East Jerusalemites can afford -- contributing to the steady stream of people to the areas outside the wall. The Jerusalem municipality told IRIN that Palestinian areas of the city had historically been neglected, but said that it had invested 3 million NIS in the re-zoning of East Jerusalem neighborhoods in 2011 alone. "Under Mayor Nir Barkat, the Municipality of Jerusalem has focused considerable effort in upgrading the quality of life for the city's Arab residents. Mayor Barkat's objective is to close the gap that has deepened due to the decades of neglect in parts of the city," a spokesperson said in a written statement. Although Israeli policies are pushing Palestinians to the West Bank side of the separation barrier, the movement does not change the overall demographic balance of the city. But some residents of Ras Khamis believe that the areas of Jerusalem that lie beyond the wall will eventually be handed over to the Palestinian Authority. Jerusalem's housing crisis and Israeli threats to demolish buildings in Ras Khamis are "politics", according to Riad Julani, 40, another resident facing the prospect of demolition. "(The Israelis) have turned this place into a jungle. There is no security here," said Julani. He and other residents say that drug dealing and use is rampant in the neighborhood and that the Israeli authorities choose not to intervene. "We have kids here, 14, 15, using drugs, and it's really right in front of the police. We could do an experiment. We could put something that looks like drugs in bags and go to (the Shuafat) checkpoint, and you could take money out in front of the soldiers, and will they come to me or you? No. They don't care. They don't care about Arabs." Residents also report that houses and business are frequently robbed but say that the Israeli police do not come to help. Saed Abu Asab, 58, lives in the same building as Julani. He says he prefers Ras Khamis to the apartment that he used to rent in Jerusalem's Old City, where he, his wife and their five children crowded into one room. "It would be like, 'Do me a favor, I want to come in, move a little, I have to go to the bathroom,'" he recalls. Reflecting on his current situation, he adds, "Now, (the Israelis) are talking about making a demolition here, but why do they let (Jewish Israelis) build in Pisgaat Zeev (an Israeli settlement) and not (us) here?" Still, even under the looming threat of demolition, the housing boom outside the separation barrier continues. The occupation municipality forced Khaled Al-Zeer on Thursday to remove the remains of his demolished home in the town of Silwan. Khaled said that the municipality lately issued an order which requires him to remove the remains and clean the area and under the supervision of the so-called “Antiquities Authority”. It is noteworthy that the Israeli bulldozers demolished Khaled’s house last August under the pretext of building without a permit. Khaled had to move and live in a cave built on his land in order to preserve the land and save it from being confiscated in favor of the settlement projects. Several Israeli authorities have harassed Khaled and requested him not to do any renovation works in the cave and asked him to leave it; note that he recently received an administrative demolition order for a room he built after his home was demolished. Israeli bulldozers, escorted by large numbers of police officers, are preparing to demolish Bedouin houses in the Negev, locals said Thursday. They told Ma’an that since 10:30 a.m. bulldozers and police vehicles started to arrive near Shawkat crossroads in Negev preparing to demolish houses in Arab villages. The Israeli army demolished, on Thursday, at least 50 structures, including residences, displacing 13 families in the northern Jordan Valley, as a result , according to a local official. 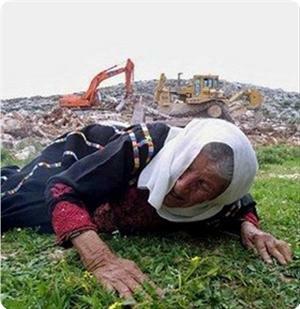 According to a report by WAFA Palestinian News & Info Agency, the army brought bulldozers to demolish the homes, animal barns and other structures which residents of Khirbet Um al-Jimal had been using for their daily living, said Aref Daraghmeh, head of the al-Maleh local council. Israel is seeking to empty the Jordan Valley of its Palestinian residents, who are mainly Bedouin, as it plans to keep it under its control in any future deal with the Palestinians. 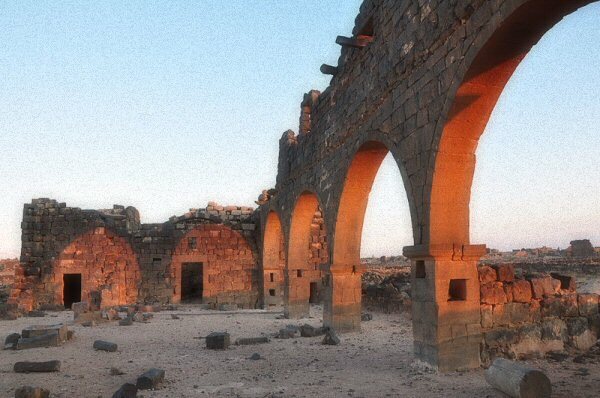 Khirbet Um al-Jimal is notable for the substantial ruins of a Byzantine and early Islamic town which are clearly visible above the ground, as well as an older Roman village (locally referred to as al-Herri) located to the southwest of the Byzantine ruins. Israeli bulldozers demolished Thursday morning 15 Bedouin facilities, a home for 150 residents most of them children, in Wadi al-Maleh northern Jordan Valley. Head of Al-Maleh village council Aref Daraghmeh told the PIC reporter that the demolition of houses and sheds came following Israeli decision to demolish the village. The area is owned by the Latin Patriarchate, which reportedly owns around 7,000 dunums of land in the area. Israeli occupation authorities have issued many notifications during the past year to prevent construction in the area, while the village council appealed in Israeli courts to cancel the notifications. The council has also addressed the Patriarchate several times in order to rent them the area and to prevent their deportation. The IOA issued demolition notifications three months ago against the area. Meanwhile, Israeli occupation forces demolished Monday a number of Palestinian homes in northern Jordan Valley at the pretext that they were built in area C under Israeli control according to Oslo accords. Local sources said that the houses were owned by Mohammed Ali Ka’abna family. Jordan Valley has been subjected to Israeli continued demolition policy under flimsy pretexts. Israeli forces issued demolition orders to two Palestinian families in a southern West Bank village on Thursday, a local official said. Hashim Tmeizi, the mayor of the village of Idhna west of Hebron, told Ma'an that Israeli soldiers issued demolition orders to Hamza Muhammad Zghayyar and Hijazi Abd al-Fattah Zghayyar. The houses slated for demolition were built more than five years ago, Tmeizi said, adding that a total of 13 people would become homeless if the buildings were demolished. Israeli forces have recently issued hundreds of demolition and stop-work orders to Idhna residents, he said. He said two-thirds of the town was considered Area C, or under full Israeli control. Israel confiscated most of what originally made up Idhna in 1948, and took even more land in recent years, when the separation wall was built, Tmeizi said. Less than 1 percent of Area C has been planned for Palestinian development, while some 135 settlements and over 100 outposts have been built in the same area. Under the Oslo Accords, Area C was to be gradually transferred to Palestinian control within five years. But Israel has refused to withdraw its forces from the territory, citing security concerns and the absence of a final peace agreement. The internationally recognized Palestinian territories of which the West Bank forms a part have been occupied by the Israeli military since 1967. Municipality workers escorted by Israeli soldiers toured a Palestinian neighborhood in East Jerusalem on Wednesday, a popular committee member said. Muhammad Abu al-Hummus told Ma'an that the workers took photos of dozens of residential buildings, streets, and alleys in the al-Isawiya neighborhood. Al-Hummus said residents were worried about incidents like this one because they usually precede home demolitions. Israeli authorities on Monday demolished four Palestinian homes in annexed East Jerusalem, two of them in al-Isawiya, police and residents told AFP. In 2013, Israel destroyed 99 buildings in annexed East Jerusalem, leaving 298 people homeless, according to United Nations humanitarian affairs agency OCHA. Palestinians and human rights groups in the city say Israel rarely grants the permits, forcing residents to build homes without them. Israel captured East Jerusalem from Jordan during the 1967 Six Day War and later annexed it in a move never recognized by the international community. 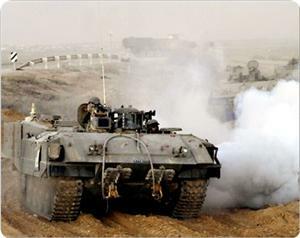 Israeli occupation forces (IOF) entered southern Gaza Strip on Tuesday night in a number of tanks and huge bulldozers. Quds Press quoted an eyewitness as saying that the IOF force advanced 50 meters into eastern Khan Younis from Seraij gate. He said that the soldiers opened intensive, indiscriminate gunfire during the bulldozing of land to the east of Qarara town while warplanes were hovering over the area. This is the second IOF incursion in the same area over the past 24 hours after Palestinian resistance elements exploded a landmine while an IOF patrol was passing with no casualties inflicted. Israeli occupation forces (IOF) escorted military bulldozers into southern Gaza Strip on Tuesday morning that bulldozed land to the east of Khan Younis. Local sources told the PIC reporter that the soldiers escorted four bulldozers east of Qarara town and leveled land in the vicinity of Siraj military gate. They pointed out that the area witnessed the explosion of two explosive devices by Palestinian resistance over the past week. The Israeli supreme court rejected on Sunday an appeal filed by Palestinian citizens against the construction of a six-lane highway that would bisect their village of Beit Safafa in the south of occupied Jerusalem. The Israeli municipal council in occupied Jerusalem started in late 2012 to build this highway, the construction of which has rapidly advanced since then. 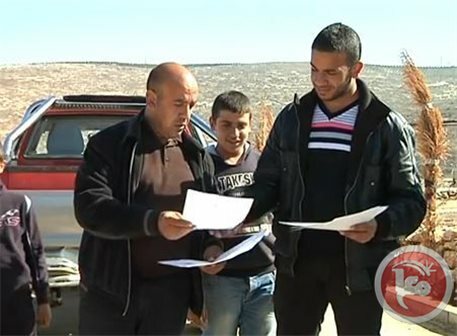 The Jerusalem district court had rejected in February a petition filed by residents of Beit Safafa against the road, which would split their village into two separate areas. Consequently, the residents, later, had to file an appeal with the supreme court, which ruled in June that the Israeli municipal council must find a solution to the transportation problems that would arise from the building of this road. The residents asked the supreme court to order the municipal council to either stop building the road, or to find other solutions in order to lessen the resulting harm, such as building bridges over the village's stretch of the highway in order to keep their area intact. On Sunday, the residents were told that their appeal was declined and no solutions would be found to minimize the adverse impacts of the road on their lives. If the road was finished, Beit Safafa residents would suffer heightened noise and pollution in addition to being cut off from basic services. The road would cut off many families from the center of the village, forcing them to drive or walk a long way to visit their relatives or reach essential locations such as the mosque, grocery store and kindergarten. The highway would connect the West Bank settlements of Gush Etzion in Bethlehem and southern Jerusalem to Israel's highway network. 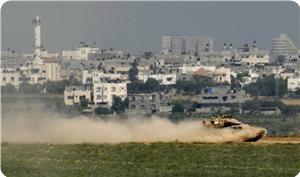 Israeli Occupation Forces (IOF) advanced on Monday morning into northern Gaza Strip and bulldozed Palestinian lands. Eyewitnesses confirmed that several Israeli bulldozers and military vehicles advanced to the east of Beit Hanoun town, northern Gaza Strip, where they conducted bulldozing operations in the area. The Israeli incursion coincided with intensive over flights by reconnaissance planes and heavy gunfire, the sources added. A Palestinian farmer was seriously injured earlier Monday after IOF soldiers opened fire at him east of Deir al-Balah in central Gaza Strip. Israeli violations to the calm agreement, reached between Israeli authorities and Palestinian resistance under Egyptian mediation, have led to the killing 18 Palestinians and wounding dozens while 60 fishermen were detained and many fishing boats were destroyed at sea or confiscated since the agreement was signed on November 21, 2012. Israeli authorities on Monday demolished four Palestinian homes in annexed East Jerusalem that had been built without construction permits, police and residents said. A total of 20 people lived in the four buildings, two of them located in the al-Isawiya neighborhood and two in Beit Hanina, occupants told AFP. They had been served demolition orders because they did not have the necessary construction permits, Israeli police spokeswoman Luba Samri told AFP. She added the demolitions went ahead without incident. Earlier, a local committee official told Ma'an that Israeli forces escorted bulldozers to the al-Isawiya neighborhood at around 6 a.m. and demolished a three-floor building belonging to Abdul-Hayy Dari. 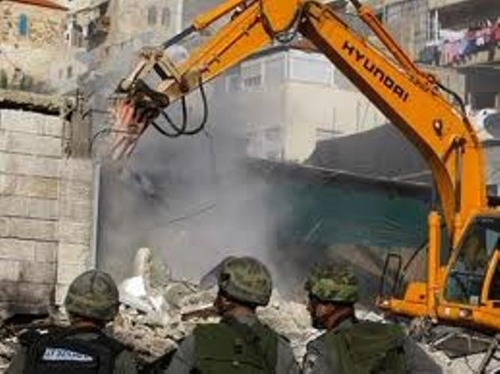 Staff from West Jerusalem Israeli municipality demolished Monday three buildings in the Arab neighborhoods of Issawiya and Beit Hanina under the pretext they were unlicensed. Israeli bulldozers demolished a two-storey 300 square meters building that was still under construction and owned by Abdul Hay Dari, said Muhammad Abu al-Humous, a local activist. He said residents clashed with police, who fired stun grenades at people who gathered in the area. Also in Issawiya, municipal staff demolished a 70 square meters house belonging to Hussein Nasser. 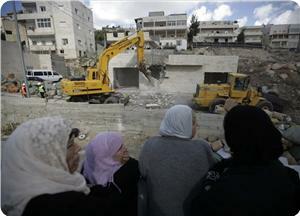 Fatima Khalil, sister of the Nasser, said that it was the second time the municipality had demolished the house. She said the first time was nine years ago under the pretext it was unlicensed but that her brother rebuilt it to house his son. Israeli municipality bulldozes also demolished a house belonging to Azzam Idris in al-Ashqariya area of Beit Hanina, to the north of Jerusalem. According to the owner’s daughter, two families of 12 people have been living in the house for the past two-and-a-half years and that they had paid fines for building it without a permit as they were waiting for a permit to be issued. Palestinians are forced to build without a permit because the Israeli municipality does not issue building permits to them or complicates procedures to get a permit while it builds thousands of new housing units for Israelis only in the settlements that are anyhow built on expropriated Arab land. On Monday Israeli bulldozers demolished two houses in the al-Issawiyeh village in Jerusalem, on claims that these houses were built without authorization. A member of the Follow-Up Committee in the village, Mohammed Abu al-Humus, told Palestinian official news agency WAFA, that one of the houses belonged to the Jerusalemite Abdul Hai Ahmad Dari. Clashes erupted in the area, where Israeli forces fired tear gas canisters at passing students, and closed all the main entrances of the village. 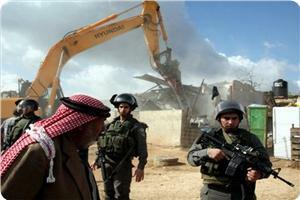 Israeli bulldozers also demolished a 70 square-meter house belonging to Hussain Ali Nasser. A family member told WAFA that this is the second time the Israeli forces have demolished their house, adding that the IOF had demolished their home nine years ago, under the pretext that the house was built without authorization. The Islamic Christian authority for patronizing Jerusalem and holy sites said that Israel's systematic demolition of Palestinian homes in occupied Jerusalem and its environs constitute a flagrant violation of the rules of the international humanitarian law. Secretary-general of the Islamic Christian authority Hanna Issa stated on Monday that Israel demolishes homes in order to lay its hands over the remaining Palestinian property in occupied Jerusalem and complete its Judaization of the city. Issa noted that the Israeli occupation authority (IOA) demolished on Monday morning a Palestinian house in Issawiya district in east Jerusalem at the pretext of unlicensed construction. He explained that the statute of the international criminal court criminalizes such arbitrary demolition of civilian property that happens on a massive scale and classifies it as a war crime. He affirmed that Israel also blatantly violates the human rights law which protects the right of individuals to own real estate without their exposure to any arbitrary measures stripping them of their ownership. The official affirmed that Israel uses different pretexts to justify its arbitrary demolition of Palestinian homes and property, including security claims, their presence near settlements and their roads, unlicensed construction or their violation of the Israeli housing law. For his part, Ahmed Qurei, an executive committee member of the Palestine liberation organization (PLO) said recently that east Jerusalem would be lost forever if Israel persisted in its settlement and Judaization activities in the absence of any Arab action to save the city. Qurei called for active Arab moves supporting the steadfastness of the Palestinian natives of Jerusalem on their land. In press remarks to Al-Ghad newspaper, the PLO official noted that Israel ethnically cleanses the holy city of its indigenous people and enlarges its settlements on a daily basis. He warned that Israel has spent like the budgets of two rich Arab states to Judaize the holy city in order to kill the Palestinian dream of establishing a state with Jerusalem as its capital. Israeli occupation authorities (IOA) demolished on Monday a building under construction in Issawiya village, east of occupied Jerusalem, under the pretext of being built without a permit. Well-informed sources confirmed that Israeli occupation soldiers escorted municipality bulldozers that stormed the village at early morning hours, and demolished the three-story building under construction. The forces closed the main road leading to Issawiya village, and tightened its security procedures in the area, hindering Palestinian students and employees from reaching their schools and work places, the sources explained. Israeli forces had stormed last week Issawiya village, where they filmed the village's streets and neighborhoods. The IOA had made construction permits harder to obtain for Jerusalemites in order to force them to leave their home town. Palestinian medical sources have reported that a Palestinian farmer was shot, and seriously wounded, by Israeli military fire in the Abu Al-‘Ajeen area, southeast of Deir al-Balah, in central Gaza. 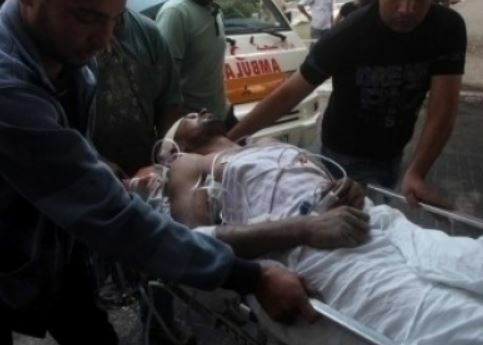 The sources said that the wounded farmer, 34 years of age, was shot by a live round to the chest, and was moved to the al-Aqsa Hospital in Deir al-Balah, suffering a serious injury. 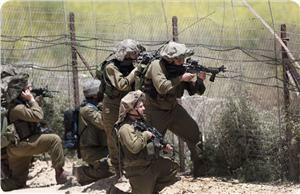 Eyewitnesses said that the army opened fire at dozens of Palestinians after a loud explosion was heard in the area. Israeli military sources claimed an explosive charge blew up near a military jeep patrolling the border area, close to a military base east of the al-Qarara town, northeast of Khan Younis, in the southern part of the Gaza Strip. Several Israeli military vehicles arrived at the scene and used smoke bombs to retrieve the soldiers and the targeted military vehicle; the army reported no injuries among the soldiers. In related news, a number of military vehicles carried out a limited invasion into the Beit Hanoun town, in the northern part of the Gaza Strip, bulldozed and uprooted Palestinian lands in the area. Last week, an explosive charge detonated near a military vehicle in the same area, causing no injuries among the soldiers, the army said. Rev. Ibrahim Shomali, a Catholic priest, pictured during the mass. Residents of Beit Jala held their last weekly mass Friday in an area threatened by Israel's separation wall as locals awaited a decision from Israel's Supreme Court on an appeal to halt the land seizure. 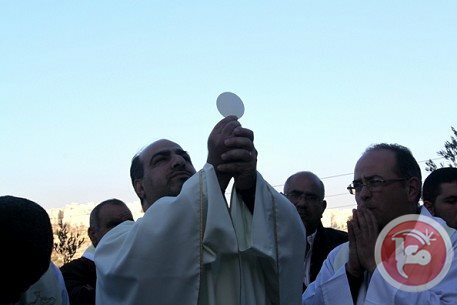 Around 60 Palestinians, internationals and representatives of the Catholic, Orthodox and Lutheran churches gathered on an olive tree-covered hilltop in the Cremisan Valley to pray for a halt to Israel's separation wall, which is set to annex the entire lush green area north of Beit Jala. The weekly mass, which has been held since 2011, is the last action by the largely Christian community before Israel's Supreme Court issues a final ruling on Jan. 29 regarding the route of the wall. Rev. Ibrahim Shomali, a Catholic priest who led the mass, thanked the crowd for its support over the years and said it was now up to the Israeli court to decide on the "future of our presence in the Holy Land." Issa Kassissieh, Palestine's ambassador to the Vatican, which owns the land threatened with confiscation, told Ma'an that the seizure was unacceptable. "The pope is coming as a peace pilgrimage to the Holy Land to build bridges and here we are seeing that a wall is being erected." "This is a way of exodus. This is a way of pushing people out and there is no legitimate grounds for this confiscation by the Israelis, so we hope that the power of logic will prevail and not the logic of power." 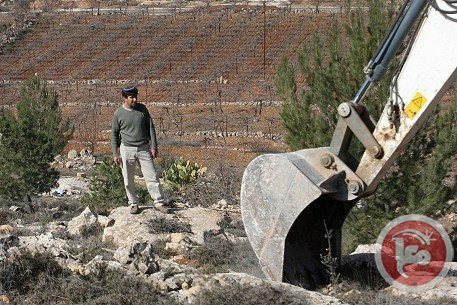 Israel is constructing some of the last segments of its wall on lands west of Bethlehem, including the Cremisan monastery area, and al-Walaja village. 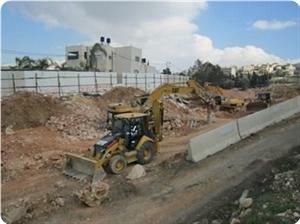 In 2006, Israel issued a military order to build the separation wall around Beit Jala and Har Gilo. After a seven-year legal battle, 58 local landowners, and nuns from the Salesian convent who joined their legal action, lost an appeal against the route of the separation wall in April 2013. 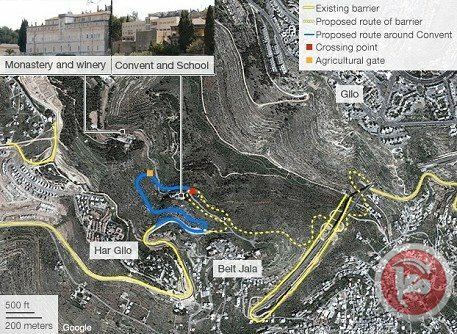 The ruling last year proposed that the convent, and adjacent school, remain on the Palestinian side of the wall, but the nuns would lose access to 75 percent of their land and the school would be situated in a military zone surrounded by the separation wall. The Cremisan monastery and winery would be on the Israeli side on the wall, splitting the religious community, and residents would no longer be able to participate in the annual religious event of the Holy Spirit Procession, which sees local Christians walk from Cremisan to the Annunciation church in Beit Jala. After a lengthy legal battle, residents have little faith that justice will prevail through Israeli courts. "People do not trust the Israeli courts. They just have hope in God to change the mentality of Israel's army and political leaders," Rev. Shomali told Ma'an. Grace Abu Mohor, a teacher in Beit Jala who is set to lose 20 dunams of land and hundreds of olive trees, says Israel is seeking to annex the land in order to expand nearby settlements. "Our hope is just in God. I don't think we have any hope with the Israelis. We look for peace but they don't know what the word peace means." Abu Mohor says the seizure of family land which dates back generations will force Christians out of Beit Jala. "I think this is what they want, but we are staying here until God takes our life." Antwan Saca, a Beit Jala resident, said that Israeli policies have created huge limitations for the Christian community and will restrict worshipers from accessing their holy sites. "The church, the seminary and the winery are the very last open green spaces that this community has, and they will be taken away from them," he told Ma'an. Anica Heinlein, an advocacy officer for the Society of St. Yves, which represents the nuns, says that if they lose the upcoming appeal there is nothing else that can be done legally through Israel's justice system. The case presented by the landowners and Salesian religious community argues that the wall is a means to annex Palestinian land to expand the surrounding settlements of Gilo and Har Gilo. The appeal also stresses that the wall will infringe on the right to freedom of religion by separating the Christian community from the monastery and will threaten the right to education by forcing children to attend school in a military zone. The area also serves as a recreational space for the residents of Beit Jala, Bethlehem and Beit Sahour, with families picnicking and hiking in the lush green valley. Farmers harvest olives from the steep agricultural plateaus and will lose access to their land once the wall is built. In the last hearing, high-ranking Israeli security experts from the Council for Peace and Security gave their opinion that the now planned route is neither necessary nor logical for serving Israeli security needs, St Yves said, and they proposed an alternative route next to Gilo. Despite this testimony, and the appeal from landowners and the religious community, the state attorney from the Israeli Ministry of Defense said that the wall was necessary for the security of the Israeli state and would not create a permanent border. It is uncertain when construction of the wall would begin following the Israeli Supreme Court's ruling, but Rev. Shomali says that taking the land away from local Palestinians will devastate the community. "If they take our land there will be no future. No houses or cultural sites, or the monasteries that we have, or the agricultural land that we used to work on." "There will be no chance for our community to stay here on this land." Israeli bulldozers accompanied by soldiers early Thursday uprooted dozens of trees in the West Bank's Salfit district, locals said. Abd al-Halim Mansour, a resident of the village of Deir Istiya, told Ma'an that Israeli bulldozers began uprooting trees near his village. Palestinians from the village tried to prevent the bulldozers from uprooting the trees, but Israeli forces fired tear gas to disperse them, Mansour said. An Israeli army spokeswoman said that following "activity" by Israel's Coordination of Government Activities in the Territories, dozens of Palestinians gathered in the area and a "riot erupted." Israeli forces responded with "riot dispersal means," she said. Israeli police Thursday ordered Khalid al-Zir, a resident of Silwan neighborhood of East Jerusalem, to remove a tent he and other Jerusalem residents had set up the night before in front of the Red Cross headquarters in Sheikh Jarrah to protest Israeli demolition of homes in the city. Zir said that the tent was put up to draw attention to the plight of Jerusalem residents whose homes were demolished by the West Jerusalem Israeli municipality for building without permit after efforts to get a permit have failed. The municipality demolished Zir’s small Silwan home in August and when he attempted to set up a room with a metal roof on his land to house his seven-member family, it was also demolished. Zir then moved with his family to live in a cave but even then the Israeli antiquities authority ordered him not to change anything in the cave after he attempted to add to it to shelter his family from cold and rain. 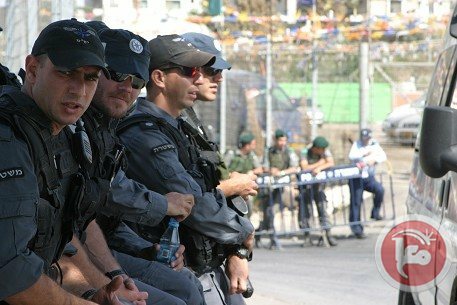 Israeli police raided the tent Thursday morning and ordered the people holding a vigil inside to remove it within 30 minutes or else they will be fined. Zir said he was going to continue with his sit-in in front of the Red Cross until something is done to help him and others restore their homes in East Jerusalem and put a stop to the demolition of homes, a policy Palestinians say aims at forcing them to leave the city while Israel builds thousands of new homes for Jews in it on expropriated Palestinian land. On Thursday, a resident of East Jerusalem were ordered to remove a tent in which was set up to protest the Israeli demolitions of homes in the city. The man, a local father of seven had seen his house be demolished by Israelis after which the make-do he constructed, were also demolished. After moving his family to a cave, he was told not to alter anything within the natural construction, when trying to add a shelter to protect his short-term home from wind and rain. As the last part of the saga the man has now been told to take down the tent in front of the Red Cross in Jerusalem, WAFA reports. 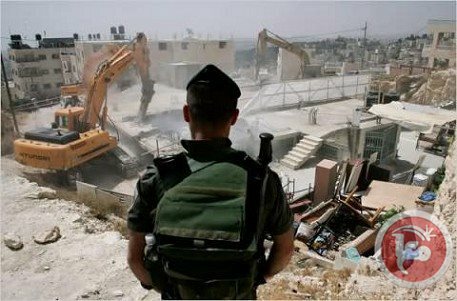 The Israeli occupation forces (IOF) on Wednesday evening demolished Palestinian-owned homes and structures in the hamlets of Abzik and Yarza and declared the area a closed military zone. 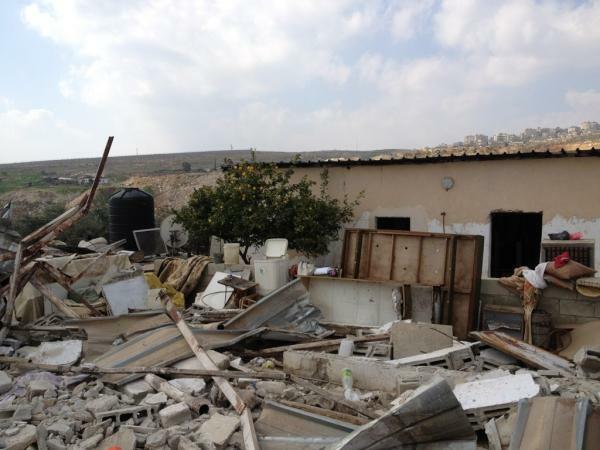 Municipal chief of Wadi Maleh Aref Daraghmeh reported that the Israeli army once again knocked down homes and property in Abzik and Yarza, which had already suffered from wide demolitions. Daraghmeh explained that the Israeli demolitions in Abzik included an old house built in 1967, another house inhabited by a family and two structures used for keeping livestock. He added that the IOF also destroyed homes, livestock huts and agricultural structures in Yarza. Local sources said that the IOF at the entrance to Yabad town confiscated the IDs of Yabad municipal chief Samer Abu Baker and director of the municipality Yousuf Atatreh as well as those of a crew of electricians and barred them from doing any repairs on the generator.